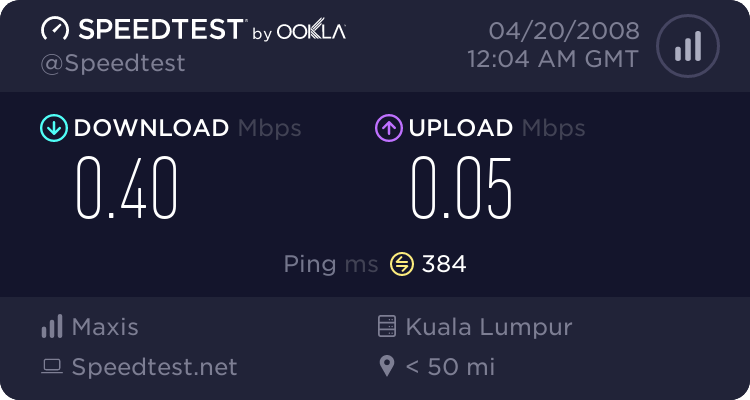 hmm.. called the maxis broadband customer care. he said cannot use the maxisbb SIM card that come with this modem to a USB modem. got different package .. bla.. bla..
the speed at cheras.. somewhere near the velodrome. what a big lost.. can’nt use this sim card at any other usb modem. sim card locked. bla.. bla.